Product prices and availability are accurate as of 2019-04-21 05:28:03 EDT and are subject to change. Any price and availability information displayed on http://www.amazon.com/ at the time of purchase will apply to the purchase of this product. 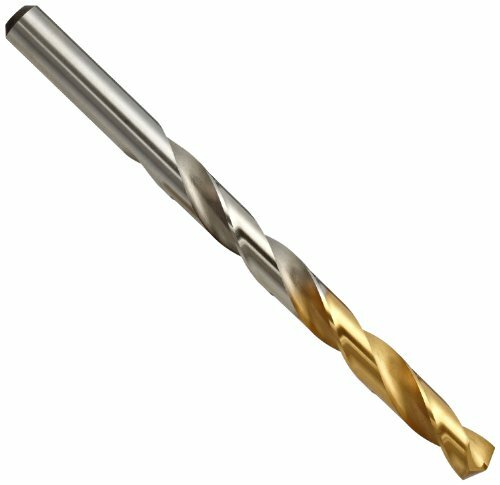 The Gold-P drill has a full thickness tin coating on its tip. This allows higher production rates and lower costs. The newly designed point, helps reduce thrust and is self centering. Jobber length, gold-p coated. Bright body TiN coating on working part. 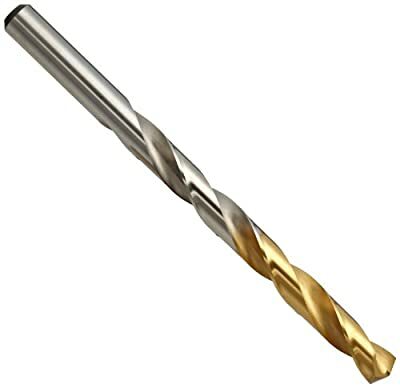 Applicable for drilling in steel, cast steel alloyed and non-alloyed, grey cast iron, graphite, malleable cast iron. ANSI Specifications met.